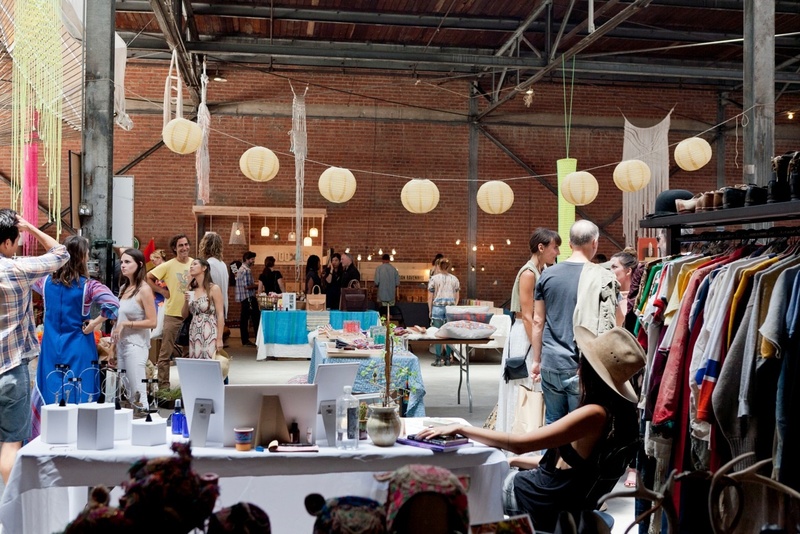 Spring is in the air, and this weekend Parachute Market is celebrating the season with “Let There Be Light,” the third installment of this curated design fair. The brainchild of set designer and vintage dealer Coryander Friend < http://coryander.com/> , Parachute aims to bring an aesthetic cohesion to the popular pop-up market format that extends well beyond the wares for sale. For starters, Friend’s vendors are “not vendors: they’re designers and artists,” she says. “Let There Be Light” will feature on-site installations by four artists throughout a massive arts district warehouse. Tahiti Pehrson’s intricate, hand-cut paper sculptures are designed to catch the light, while Milan-based Johanna Grawunder is bringing in a geometric neon piece that was originally commissioned by Fendi. There will also be “air-chitectural” pieces by Doron Gazit <http://www.dorongazit.com/>, who works, fittingly, with parachute material. “He’s our Burning Man, really out-there sculptor who’s gonna cover the ceiling with these air tubes,” says Friend. He also happened to do Beyonce’s halftime show. Of the 52 participants on the floor, 31 are new to Parachute. Wendy Polish is returning with her luxury line of water-sculpted candles, Le Feau de L’eau, as are the weavers Brook and Lyn, who are unveiling a new line of mirrors in honor of the theme. Anton Nazarko, who does the hand dyeing and tie-dying for Raquel Allegra, will be selling his textiles. Industrial designer Phil Otto created a folding desk and light kit. Others include ceramicist Bari Ziperstein, Place 8 Healing crystals, jewelry designers Myrrh and Hortense, and Worn Over Time, dealers who are famous for their Mexican and Navajo silver jewelry. Richard Wainwright is again curating his A Current Affair http://itsacurrentaffair.com/ vintage pop-up in part of the space, and chef Nina Clemente http://www.ninaclemente.com/ will be creating food and beverage pairings. © 2019 Steffie Nelson. All Rights Reserved.